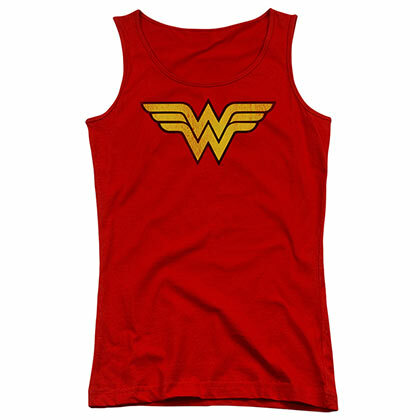 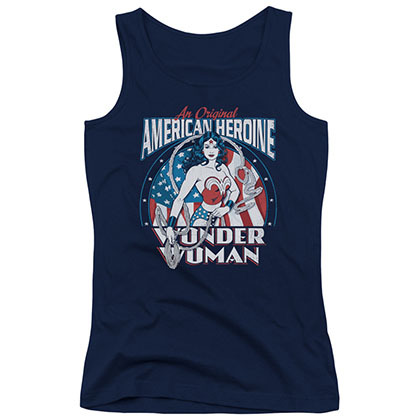 Women's Wonder Women tank top. 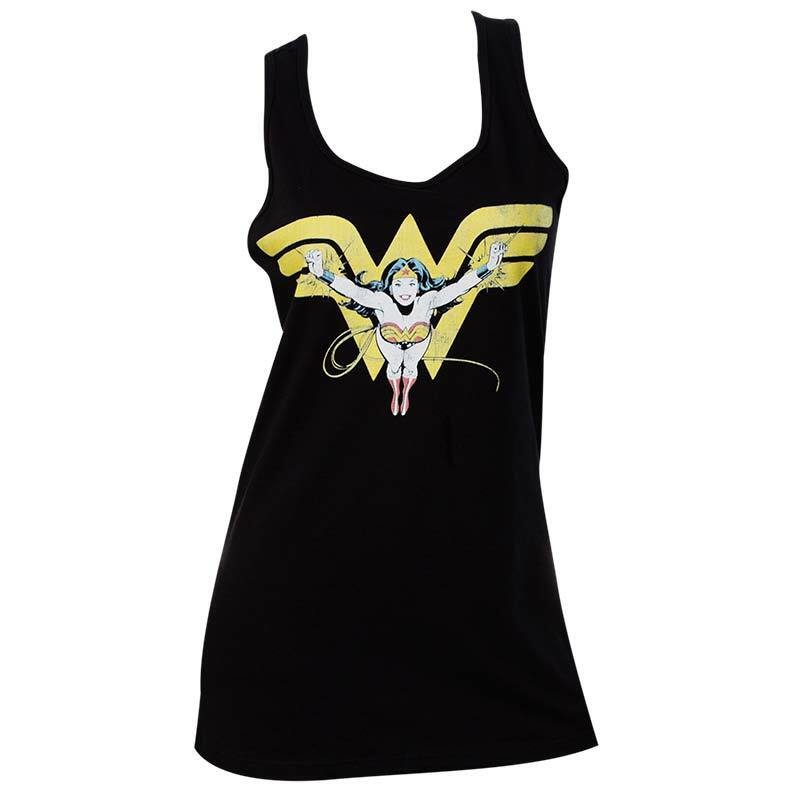 Made from 100% cotton, comes in black. 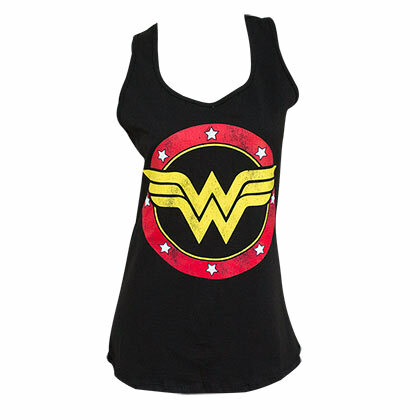 Gold Wonder Women Logo and portrait on the front. Officially licensed.